Happy Tuesday MCT friends!! I hope you are having a fabulous day. I cant believe we are almost half way through the month! It went so fast! And today we are on day 11 of the 12 days of Christmas. 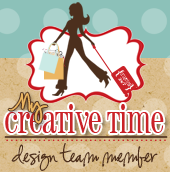 I hope you have been following along because there has been some fabulous projects from all of the MCT design team. If you want to start at day one click here. Today, I have two projects to share. 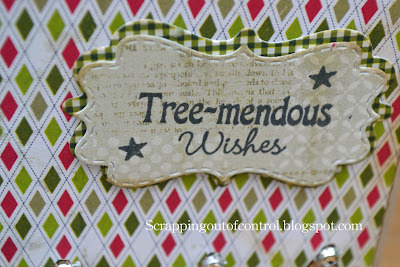 My first project is a gift card holder using the MCT Embossed Gift card Holder. 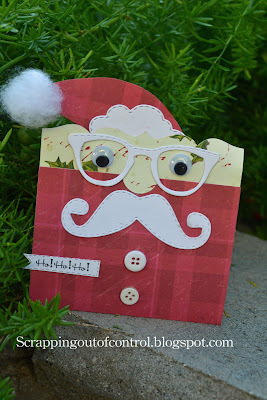 The glasses and mustache are from the What's growing stamp Set. I hand cut the little had and added some pillow stuffing to the tip. I also added some "fluff" to the rim of his hat using the MCT "Fly Away with Me Stamp Set". I love how it turned out! For my second project I made this quick and simple card. 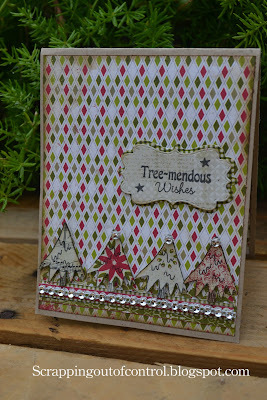 I used the It's a Magical Season Stamp for the trees and Sentiment. 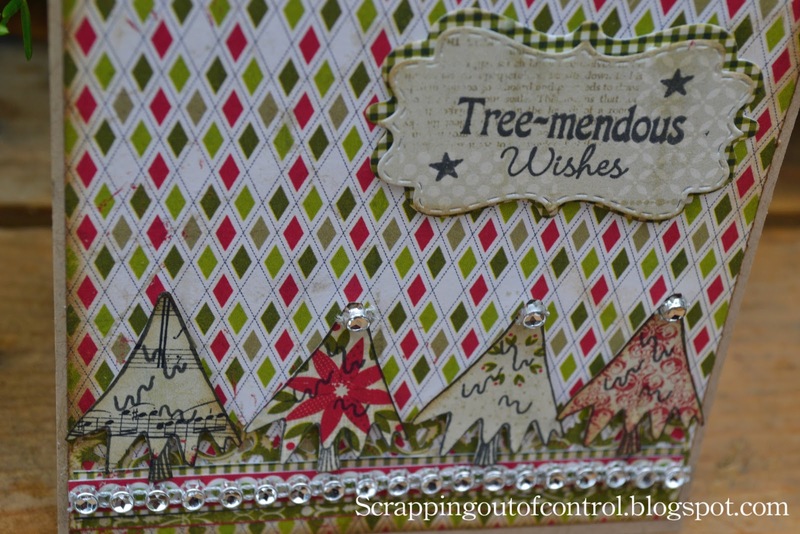 I just fuzzy cut the trees and added a little bling. You can totally mass produce this card! Okay, since it's Christmas, Emma decided to give away TWELVE of her FAVORITE things to ONE LUCKY person! She will announce one of the prizes for each day in her video! So by the 12th day, you will see ALL 12 items that ONE lucky person will be receiving! All you have to do is leave your comments each day! It's that simple! ALSO, **VERY IMPORTANT** Please leave your contact information so we can contact you "IF" YOU are the lucky winner! Fun and simple right? Don't forget to visit the rest of the Design Team for more crafty inspiration and also for a chance to win some awesome prizes! Big crafty hugs! You gift card holder is amazing and sooo cute gosh I'm amazed at how you came up with all the ideas for Santa and love the inside too....your card is so darling gosh lots of ideas here too and girl your pics turned out fine....you rocked it today!! Hi omg i love your gift card is so cute you did a super job. Your gift card holder made me smile! Great job!! Your card is super sweet!! How cute is that Santa gift card holder! I love it with the glasses!!! Your card is very pretty too! nancy, your gift card holder is wonderful! 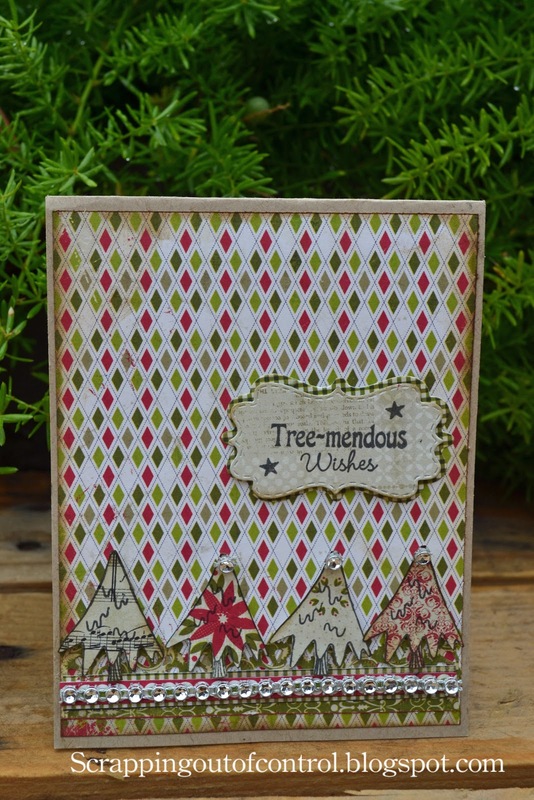 and I love the little trees on your card! SO cute! I love the wiggly eyes on your Santa!!! Two day-brightening, smile-making projects! These are absolutely delightful! I so so so want to try my hand at making the Santa face, so hope you don't mind if I scraplift your pattern (minus the gift card holder...'tis on my wish list). Thank you for sharing and inspiring. Nancy ~ Oh my word look at what you have done here!! I LVOE the Santa! How CLEVER of you to use all those MCT die and that paper! It is so PERFECT for flesh/ skin!! Eek!! 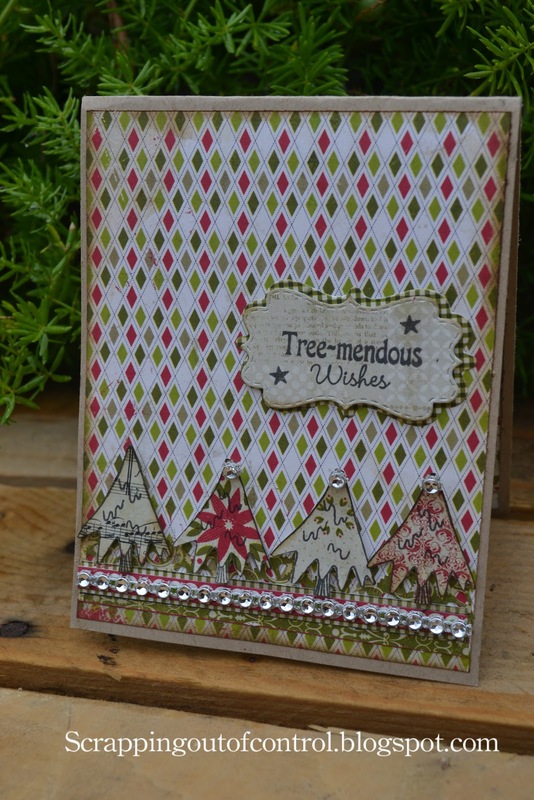 Then the tree card! So BEAUTIFUL!!! 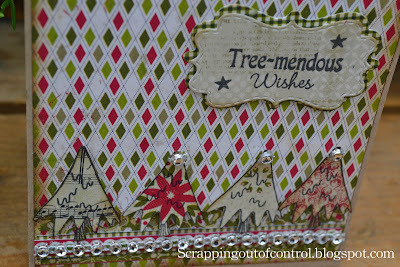 I ADORE the papers and of course the stamps and dies!!! I LOVE that paper and now will be in search of it! ENABLER!!! LOL ! Awesome as always! Great projects! The Santa gift card holder is so cute! TFS! 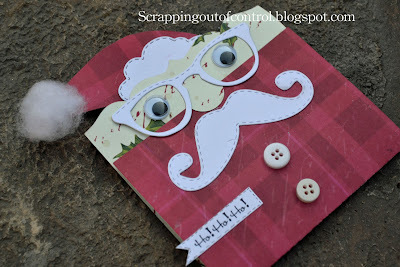 Love the Santa complete with mustache and glasses. Unique idea. That gift card holder is just adorable!! And your card is so pretty. 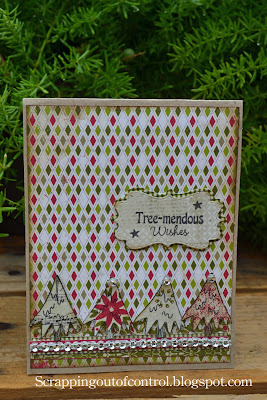 Wow, very cute gift card and very pretty card, thanks for sharing. Both are very festive and creative projects! 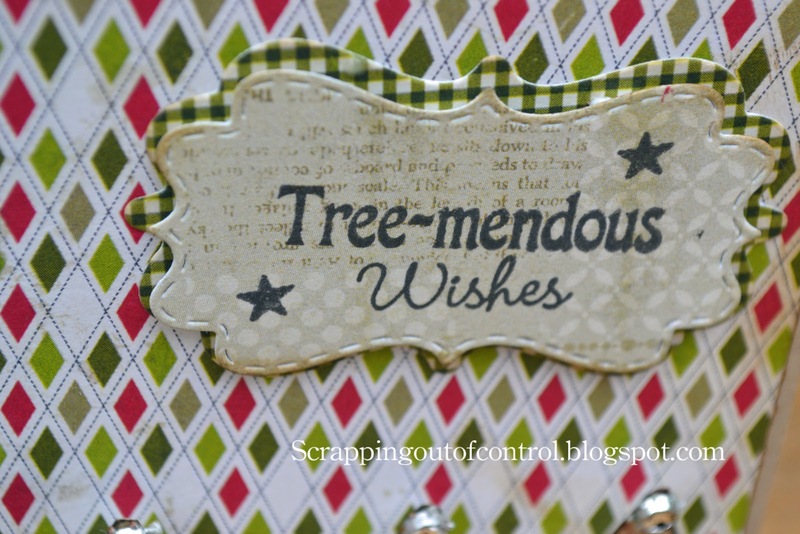 I love the tree-mendous card you made. Love trees. I am so needing the giftcard holder die! your gift card holder is adorable! So cute and clever. Your card is very nice as well! The Santa gift card holder is just adorable. The card is very pretty too. 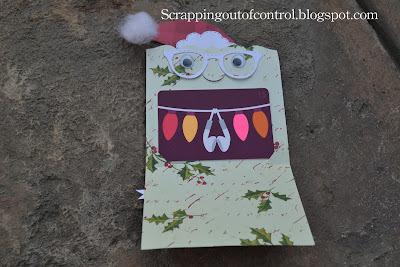 How fun with the glasses and tree-mendous card! 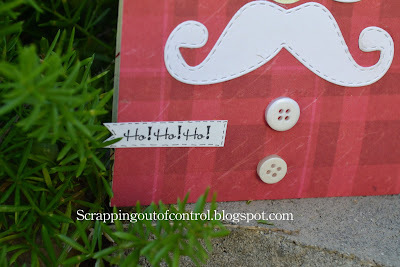 OMG..I think your "What's Growing" stamp set gift card holder is the cutest thing I've ever seen!! Made me want to chuckle! Love your card and gift holder. Love the gift card holder. I'm always looking for cute ways to dress them up a bit. TFS this with all of us. Such a cute Santa gift card holder and Christmas card! Love your projects and those glasses are just too adorable! I love your Santa. Brilliant!! You guys have outdone yourselves. The first card seriously made me laugh so adorable. Love both cards great job. The best place to learn mandarin Chinese is in China. However, we understand that it isn't always possible to move here to study Chinese language. The next best thing is to study with our experienced teachers in a virtual classroom. Online students enjoy the same excellent way of Chinese Online Courses and custom designed courseware that we provide for our face to face clients.